CUPRA has consolidated its structure by increasing its staff by 50%. Chaired by SEAT President Luca de Meo, the CUPRA Team is completed by Wayne Griffiths, CEO of CUPRA; Antonino Labate, director of Strategy, Business Development and Operations; Jaime Puig, Director of CUPRA Racing; Alejandro Mesonero-Romanos, Director of Design; Mauro Pierallini, Chief Product Officer; Khaled Soussi, Director of Sales & Marketing; and Xavier Serra, Head of Racing Engineering. A year after its birth, CUPRA has consolidated its structure and has grown its staff by 50%, up to 70 dedicated staff. The brand exceeded all forecasts in 2018 and obtained a 40% growth in sales of its models over the previous year, reaching 14,400 units sold. Germany led the sales ranking with more than 6,000 units sold, whereas Spain and the United Kingdom completed the podium, both surpassing 1,500 units. While CUPRA’s goals in 2019 consist in strengthening the position of the CUPRA range in the market, completing the implementation of the distribution network and continuing with the training of CUPRA Masters, the brand has its eyes set on completing a European offensive. For this year, CUPRA aims to improve the results obtained in its first year of life: “Whereas Germany, Spain and the United Kingdom are expected to continue being our key markets in 2019, we are expanding our footprint across Europe with the launch of the CUPRA Ateca and a strong run out of the Leon CUPRA, targeting a significant growth in France, Switzerland and Austria. 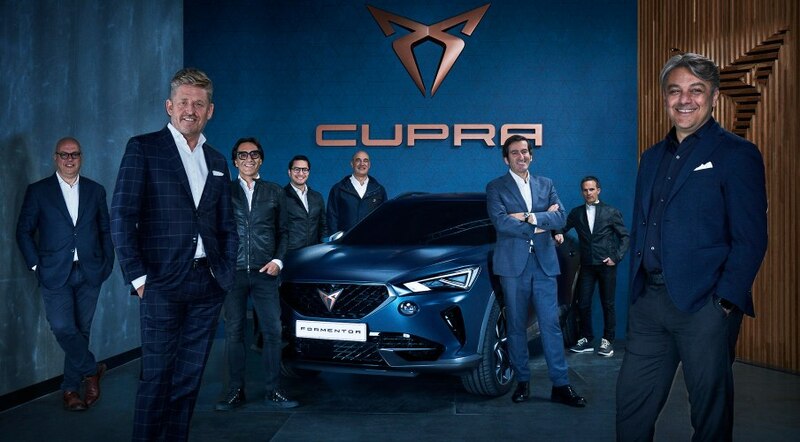 Besides, we will extend the presence of CUPRA in our strategic overseas regions, such as North Africa and Latin America”, said CUPRA CEO Wayne Griffiths. In order to implement its expansion goals, the brand is developing a distribution network of selected points of sale or CUPRA Specialists. CUPRA already has its own space reserved at 210 SEAT dealers around the world and will expand its reach until the end of the year. These spaces, called CUPRA Corners, are created with designs as well as the brand’s contemporary identity, taking inspiration from a modern, sophisticated reinterpretation of a garage. In addition, CUPRA will have its own flagship stores in iconic locations around the world. The CUPRA network will feature special parts and accessories for the CUPRA customer with carefully selected options designed especially for each model. An exclusive lifestyle collection, driving courses and special events will also be a part of the CUPRA world. The company has trained more than 240 CUPRA Masters who are in charge of transmitting the CUPRA experience to the customer. 2019 has confirmed the positive trend of last year’s results. CUPRA culminated the first two months of the year by delivering 3,600 cars, which is 101.4% more than in the same period last year. This triple-digit growth was complemented by the announcement of the first model developed by the brand, the CUPRA Formentor. This concept-car is the manifesto of the brand, and its 100% CUPRA DNA will be launched onto the market in 2020. Alongside the CUPRA Formentor, the brand also presented the CUPRA Ateca Special Edition at the 2019 Geneva Motor Show, adding increased levels of performance and sophistication. In addition to the CUPRA Ateca and the CUPRA Formentor, CUPRA plans to present four new models before 2020 in order to double sales in the next three to five years.